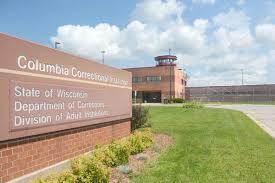 Columbia Campaign: An effort to combat toxic culture and abusive regulations at Columbia Correctional Institution, a prison near Portage, Wisconsin. This effort centers on fighting excessive solitary confinement and inadequate mental health resources, conditions that recently drove a prisoner to commit suicide. We are centering pressure against the prison’s security director to stop these abusive practices. 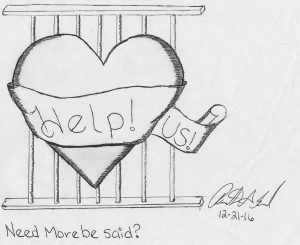 People can help with mass pressure phone & email zaps, press releases, research, mass mailings, visits, outreach, transcription and responding to prisoner letters. See the timeline of this campaign here. See overview of conditions at Columbia here. See recent updates on this campaign here. Help with mass pressure phone & email zaps with this script. To get involved in other tasks fill out this form or send us an email at iwoc.milwaukee@gmail.com with the subject line How Can I Help With Columbia Campaign? Close MSDF: The Milwaukee Security Detention Facility (MSDF) is a prison in downtown Milwaukee. 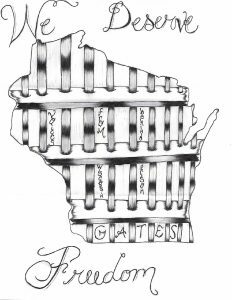 It contributes to zip code 53206 having the highest incarceration rate in the United States, mostly through crimeless revocations. Conditions are horrific, and 17 people have died at this facility over the last twenty years. Many organizations have joined a coalition to end this abuse. Find out more about these conditions and join the coalition efforts to shut down this facility here.